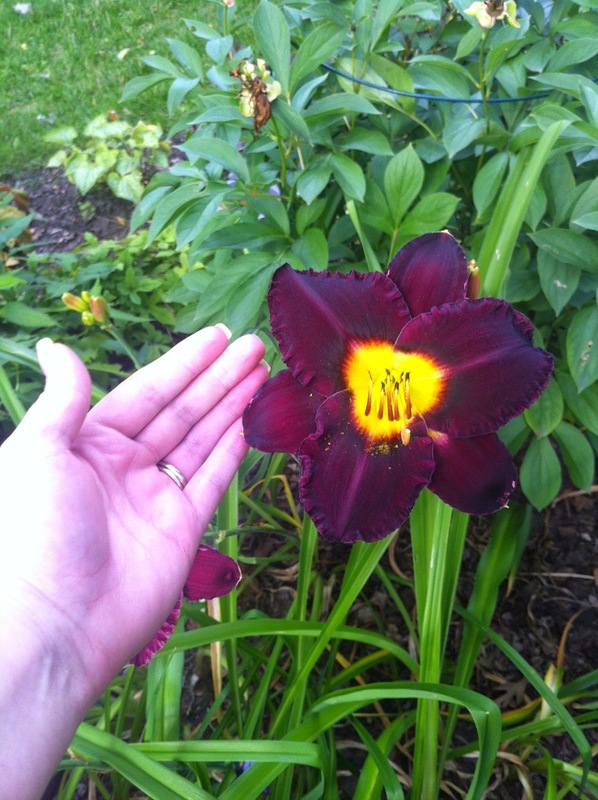 I've had various daylilies blooming in my garden during the past month. 'God Save the Queen' is glorious. Large bloom and rich colors. 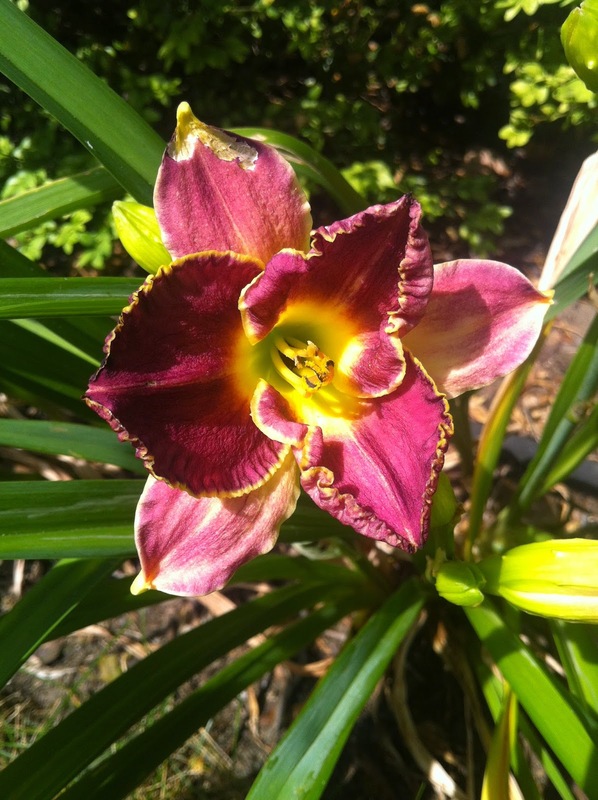 'Eight Miles High' has long petals that droop a little and give it an unusual look. 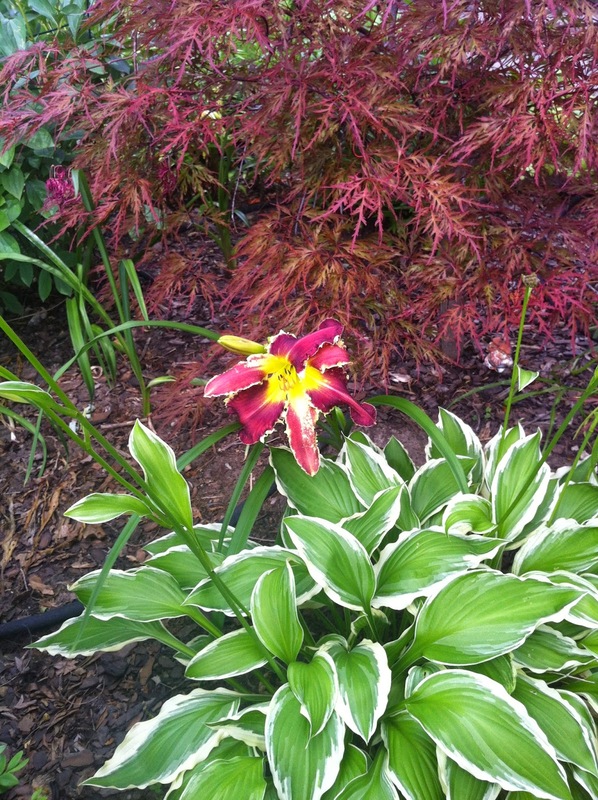 'Eight Miles High' behind the hosta and in front of the Japanese Maple. 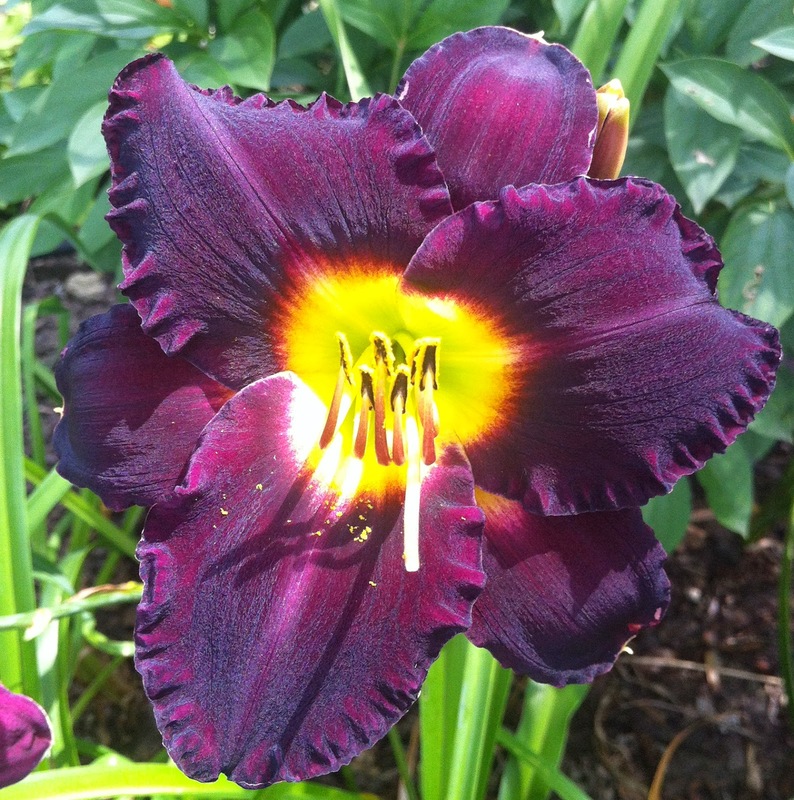 'Bela Lugosi' has large blooms and a dark, almost velvety look. 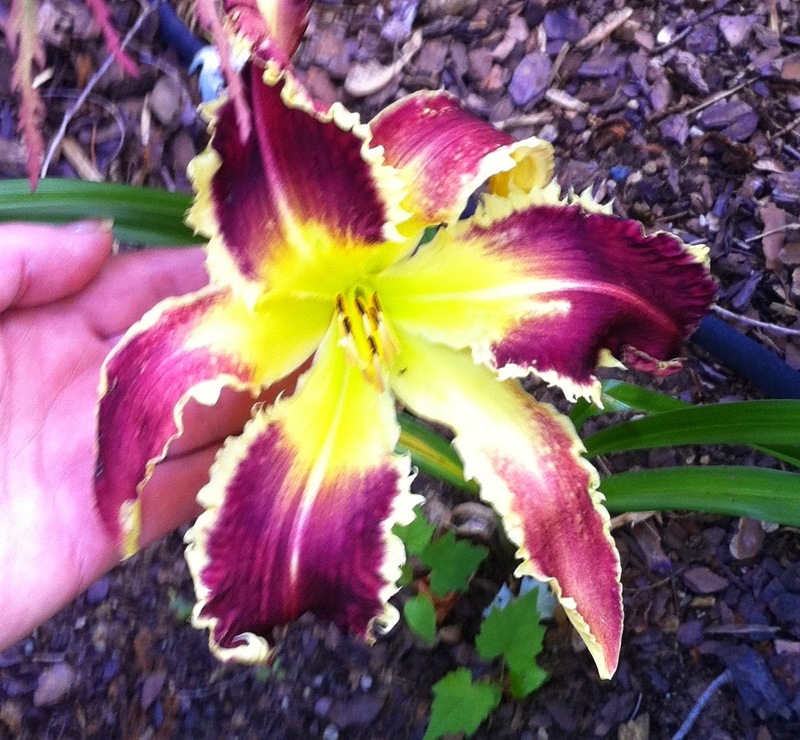 'Inwood' has cool color-tipped ruffles. 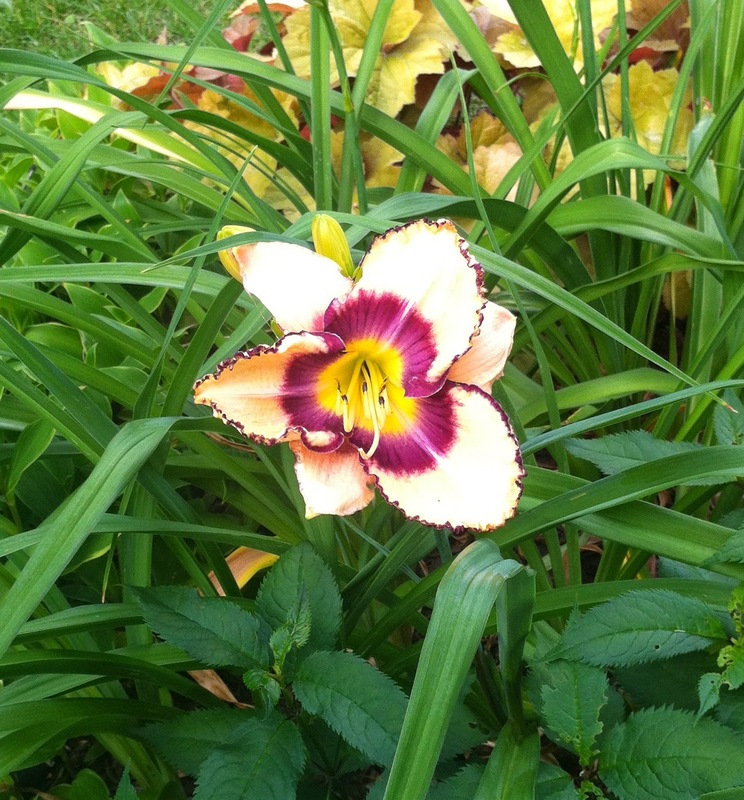 I don't know the proper name for this daylily. 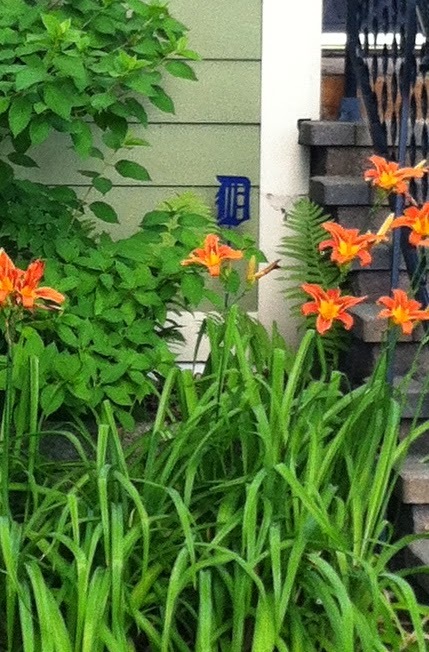 I think it may be sometimes called a "Ditch Lily". It is ubiquitous in my neighborhood. Old English D in the back! The ruffles on the edges of 'Spiny Sea Urchin' occasionally look like spines or teeth. Smallish bloom. Mildred Mitchell has smaller blooms than I expected. I like the lighter petals behind the front petals. 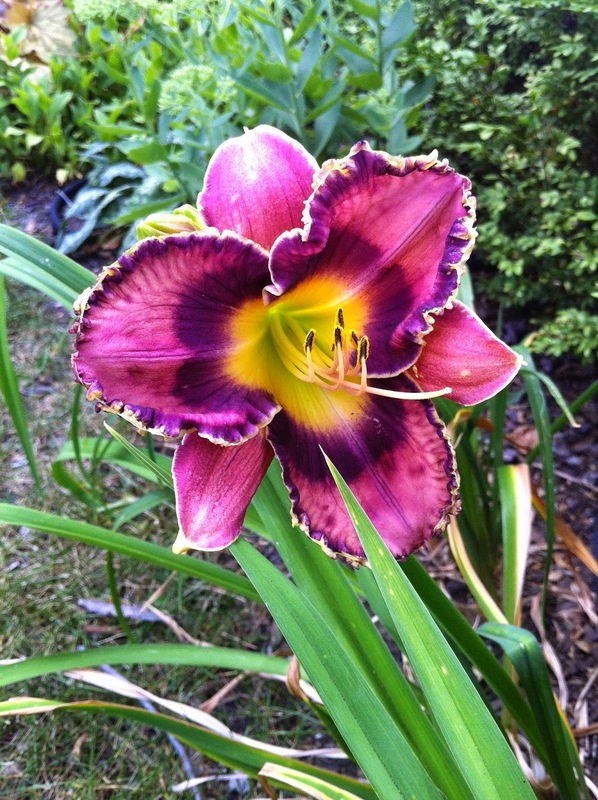 My favorite daylily we have is 'God Save the Queen'. It's spectacular. Oh how pretty! The bright centers almost look like they're on fire. 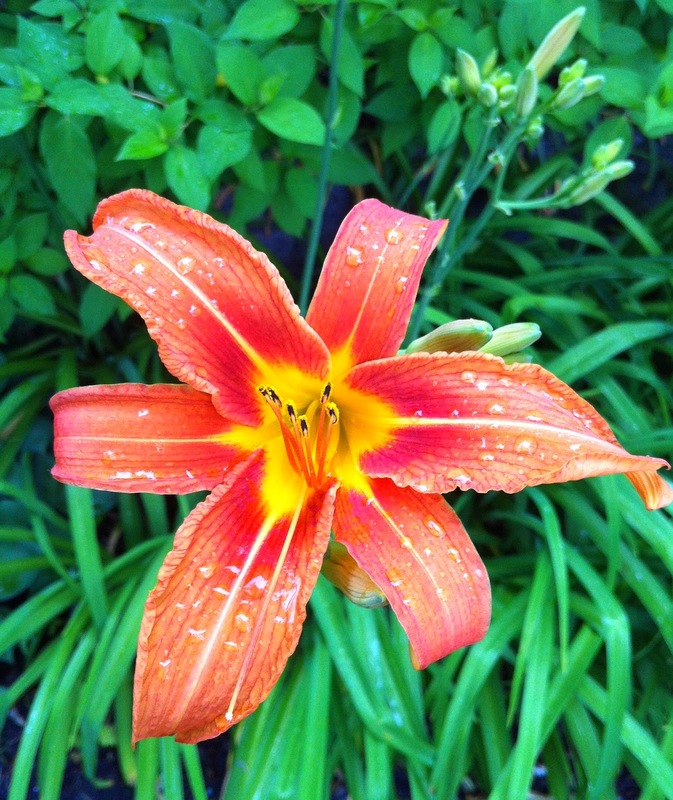 There are so many varieties of lilies with such amazing colors. I want more in my garden! I love gazing at them. All gorgeous! I like "Inwood" the best. Something about the purple tips really pleases me. 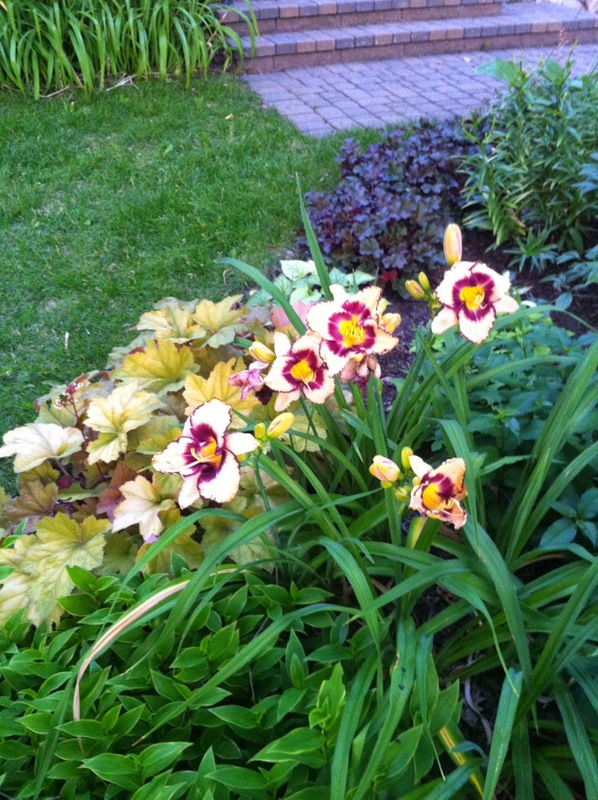 The contrast between the cream colored petals and the dark purple edges is stunning. I'm pretty sure I need more of them.